Oddly enough, research shows that the body absorbs the synthetic version of this vitamin (folic acid) much better than the version that occurs naturally in certain foods (folate). While enriched cereals and other grain products are fortified with the synthetic version, most women don't eat these foods consistently enough to rely on them as a source of folic acid. 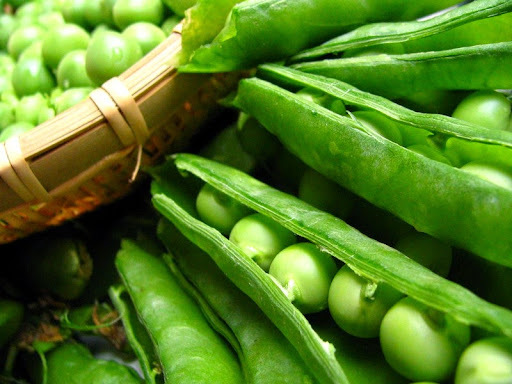 Foods that are rich in naturally occurring folate include lentils; dried beans and peas; dark green vegetables such as broccoli, spinach, collard or turnip greens, okra, and asparagus; and citrus fruit and juice. These foods aren't a substitute for supplemental folic acid. Instead, consider them a complement to your supplement. Because while your body absorbs all of the folic acid in a supplement, it absorbs only some of the naturally occurring folate from the food you eat. What's more, folate can be lost during storage or destroyed by cooking. Food manufacturers are required by the U.S. Food and Drug Administration to add folic acid to enriched grain products, such as breakfast cereals, bread, pasta, and rice, so that each serving contains at least 20 percent of the daily requirement. Some fortified breakfast cereals contain 100 percent. That said, unless you go out of your way to eat a complete serving of a fully fortified cereal—that is, one that contains 100 percent of the Daily Value of folic acid—every day, you probably won't get enough synthetic folic acid from food. Yes. Many authorities, including ACOG and the March of Dimes, recommend that all women of childbearing age take a multivitamin with folic acid or a folic acid supplement every single day. The signs of folic acid deficiency can be subtle. You may have diarrhea, loss of appetite, and weight loss, as well as weakness, a sore tongue, headaches, heart palpitations, and irritability. If you're only mildly deficient, you may not notice any symptoms at all, but you won't be getting the optimal amount for your baby's early embryonic development.